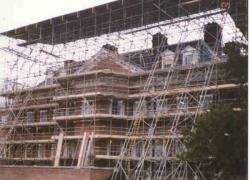 When Tadworth House in Surrey, a hospital for sick children, underwent a major refurbishment it required the entire building to be encased in scaffolding and covered with protective sheeting. 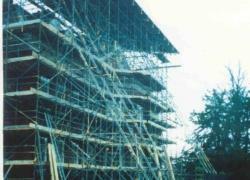 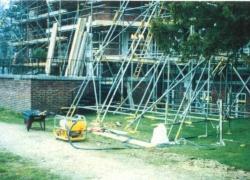 To prevent the wind from lifting this temporary structure the scaffolding needed to be reliably secured to the ground. 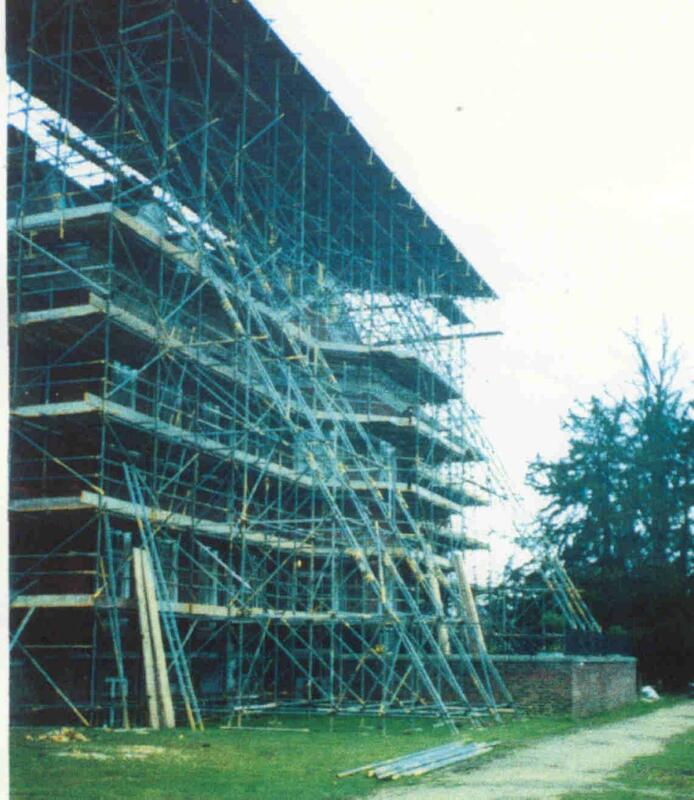 The large six storey building required an extensive and elaborate arrangement of scaffolding with metal sheets forming the roof some 70ft above the ground and Monorflex plastic sheets on all four façades. 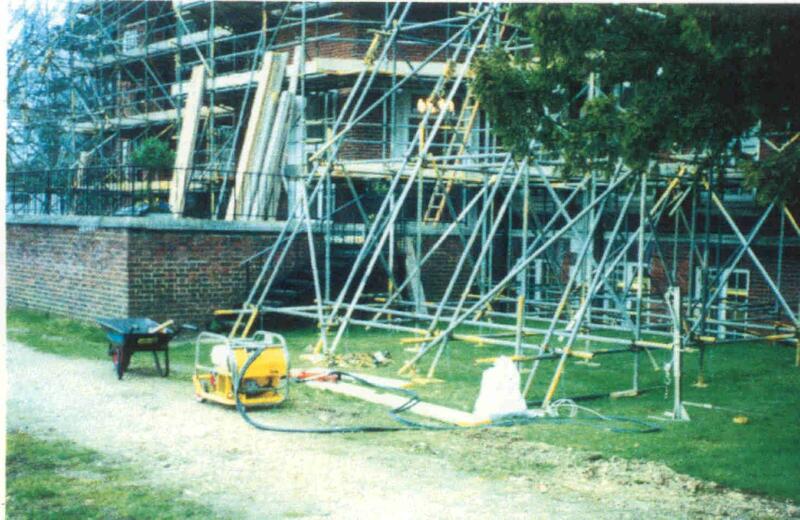 To ensure the safety of residents and workmen and minimise the risk of uplift damage resulting from strong winds, D & R Scaffold (London) Ltd specified mechanical ground anchors. 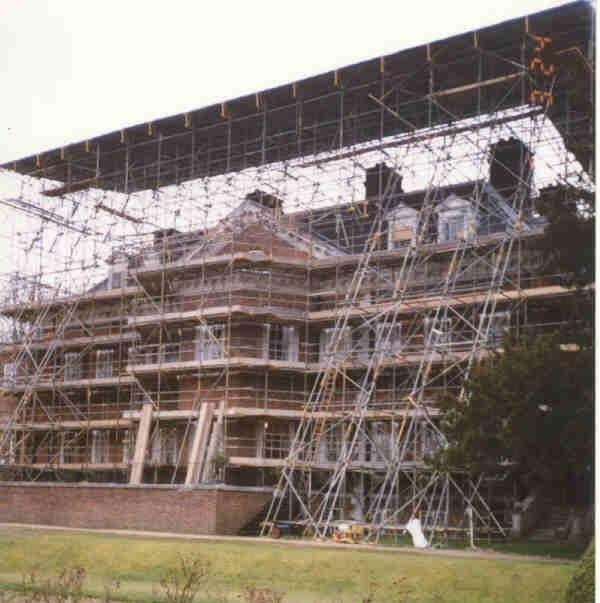 The easily installed mechanical ground anchors provided a rapid, cost-effective means of securing the scaffolding and sheeting to allow the refurbishment of Tadworth House to proceed in safety.